If you’re considering selling your home, you should first consider the state of your residential fence. Things have been on the upswing for homeowners who are interested in putting their property back on the market. For the last few years, the market has been stagnating, but things are certainly looking up for homeowners across the country, with sales always on the rise. This means, however, that there’s a lot more competition, so if you want to boost your curb appeal and make your home truly stand out, you’ll need to get creative. One of the best ways to boost your curb appeal is by installing or rebuilding your residential fence. The outside of your home is the first thing potential buyers will see when scoping it out. They’ll take in your property, hardscaping, landscaping, and fence long before they ever set foot in your home. If they are not feeling good about your home from the outset, there is little l chance they will be any more inclined to purchase it once they set foot inside. Take a good hard look at your property and fence. If your fence has peeling or faded paint, cracked or greying wood, has missing parts, or looks worn, weak, or weather damaged, it is definitely time to get started rebuilding your residential fence. When it comes to having a truly appealing home, details are important, but what’s more important is sending the right message. If any portion of your home is visibly weathered or damaged, it sends the wrong message to potential buyers. If your home or grounds are blatantly damaged in any way, even small, it may make potential buyers wonder what else you have not taken care of. This is neither comforting nor inviting and will not inspire potential buyers to invest in your home. 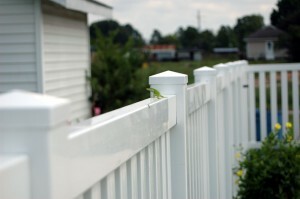 This is why rebuilding your residential fence is key. If you have any questions about Hercules Fence, fence maintenance, your residential fence, or our community service endeavors, please contact Hercules Fence of Manassas, Virginia by calling (703) 551-2609 or visiting our website. Also, like us on Facebook, follow us on Twitter, put us in your Google+ circle, and watch us YouTube! This entry was posted on Friday, March 4th, 2016 at 7:52 pm. Both comments and pings are currently closed.